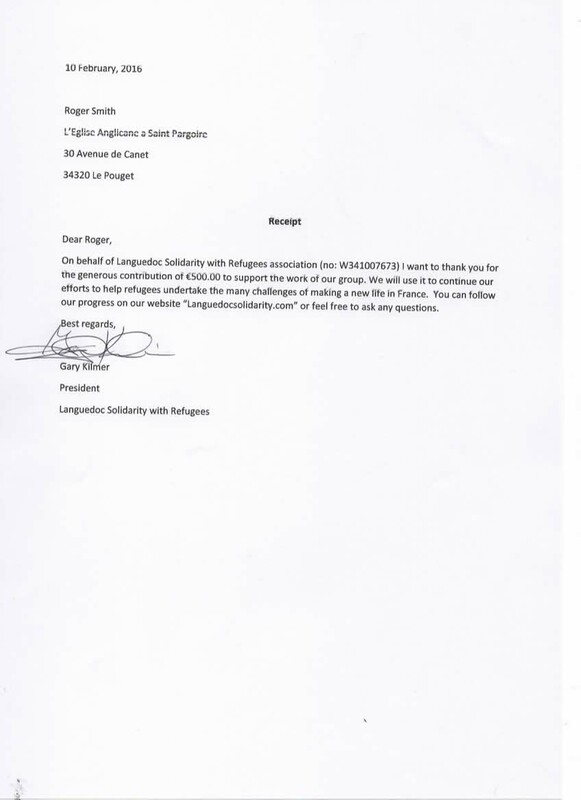 Languedoc Solidarity with Refugees is a fully registered and legal association in France (#W341007673). For some time, the group, have been supporting refugee families living in our area. The support encompasses providing every day needs from clothing, shoes etc; food of course; and items unto white goods for homes. They are also supporting families obtain legal papers to stay in France including accompaying them to Paris for their final interviews. Finally they have sent several shipments of clothing and other items to Syria, Paris, Calais, Italy and Dunkirk.